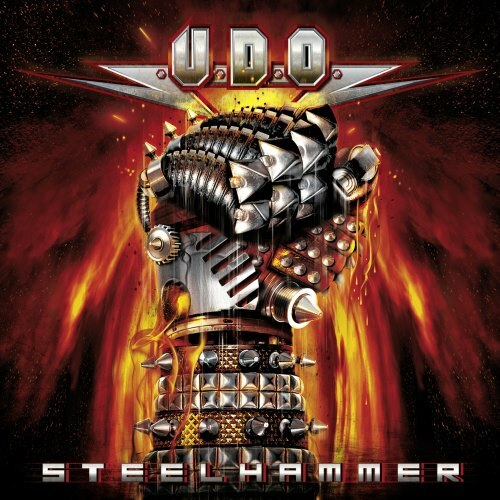 Currently viewing the tag: "Steelhammer"
"Except for AC/DC, few acts are as unchanging, predictable and satisfying as U.D.O. Since departing from Accept in 1996, Udo Dirkschneider has been a one man Germanic metal sweat shop, mass producing albums with startling regularity and consistency. While his style never strays far from what Accept did in their prime, the unsinkable lawn gnome of metal has made it his mission to keep the 80s sound alive." Giving you exactly the same metal since the early 80s, Udo is prepared to give just a little more. He's a giver...of metal. "U.D.O. (i.e. Udo Dirkschneider), the voice of Accept is back with his umpteenth album full of typically old school, Germanic heavy metal. As with all his previous platters, Steelhammer is Accept-ish in design, with nods to Teutonic power metal like Grave Digger. Sometimes speedy, sometimes mid-tempo, the man and his band traffic in meat and potato metal riffs with his now classic raspy snarl dropped on top thereof. While you have to admire his consistency, it doesn't always lead to memorable albums, though you can usually count on a handful of above-average ragers. 2011s Rev-Raptor was a rather fun and engaging outing, and Steelhammer follows right along in the same cheesy, but familiar mode." 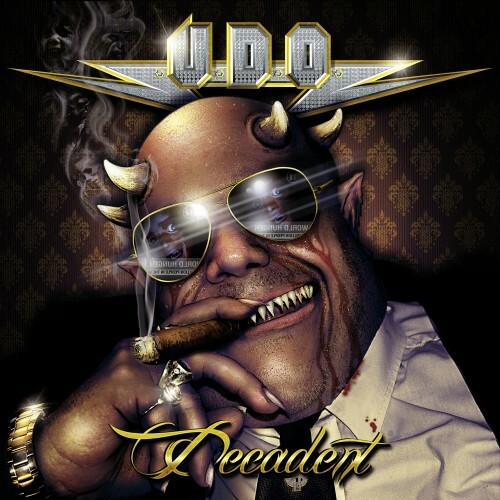 It's Udo and his band U.D.O. and that means more Germanic metal with silliness, hooks and Accept-isms. If you liked any of his other 200 albums, you'll probably like this too.